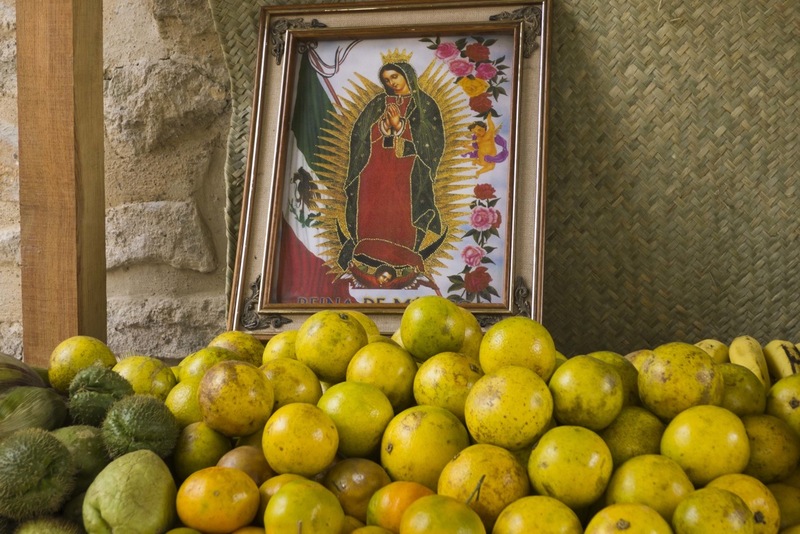 Los Dias de Muertos (The Day of the Dead) is celebrated in different ways throughout Mexico where different indigenous groups have their own customs. The festival happens anywhere around the 31st October, 1st and 2nd November. It is a time when homes and cemeteries are transformed. The living expectantly await the annual visit of the souls with whom they will interact, establishing an intense dialogue with them. This dialogue between the living and the dead takes on many different forms. For some people placing offerings on the household altar shows their belief that the dead return to visit. The returning dead are fed, welcomed into the home, and celebrated. 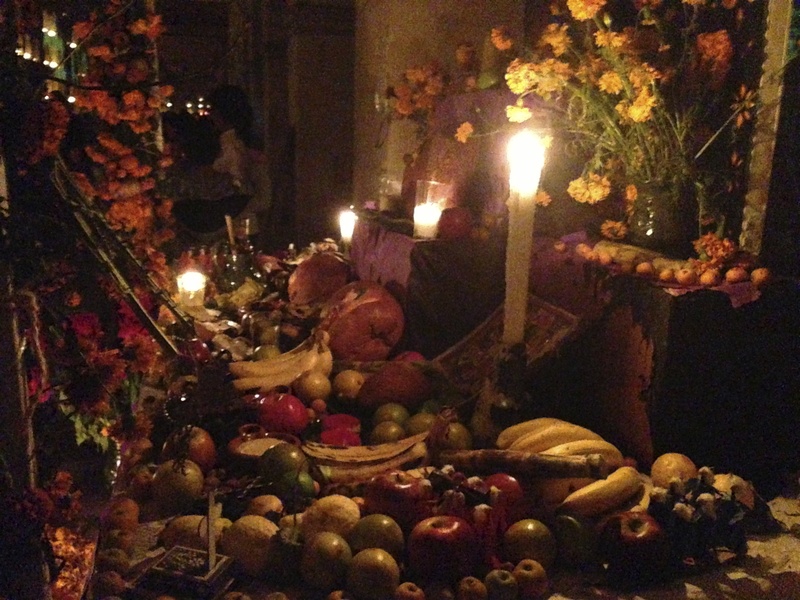 The altar and special meal is a private expression of remembering the dead. Visiting the graves or the night vigil at the graveside is the more public expression of the celebration and is very widespread. The dead are spoken of and remembered. We have only experienced Day of the Dead in Oaxaco, both in the city and in some surrounding towns, discovering for ourselves the great differences in traditions. While we have been reading what we can and speaking with Oaxacans, these are only our own impressions and interpretations. We saw altars in most shops and many of these were personalized, like the one at the Casa. However, there were also showcase altars in public buildings. Most altars were colourful, vibrant and imaginative. Perhaps altars are also seasonal decoration like Christmas is in our own culture. 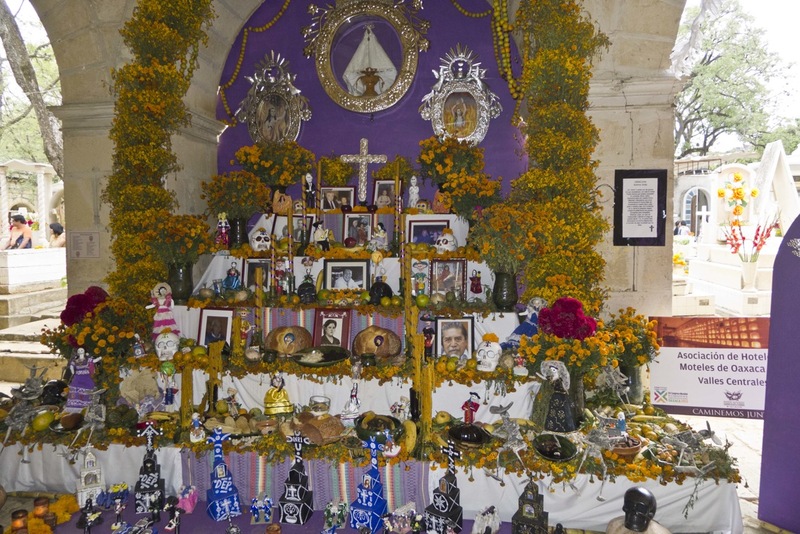 The altars show the mix of “folk catholic” and indigenous (some say “pagan”) beliefs and traditions. Although the visit to the graveyard aligns with the Catholic celebration of ‘All Souls Day’ on November 2nd, the meaning of the visit may not be traditional or religious. Some say Europeans visit the cemetery on All Souls Day to remember departed loved ones whereas Mexicans see this as a time when their deceased return to the Earth to spend time with their relatives. The church no longer opposes Day of the Dead activities and instead direct it’s focus, for example saying prayers or masses at the cemetery. Day of the Dead demonstrates to the community that you show care and respect to the dead as well as for your living friends and family. It maintains a awareness of the thin line separating the living and the dead, after all we live with the uncertainty about our own death. 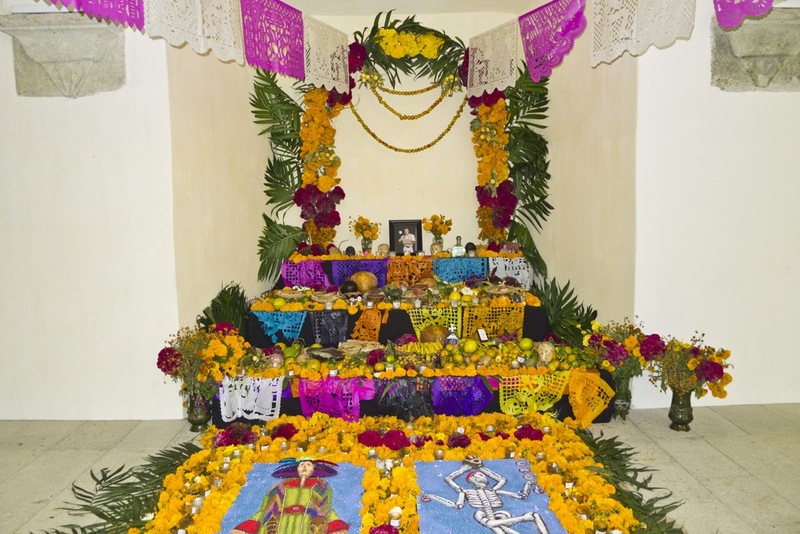 However, for many Oaxacans the expense of making an altar, preparing special food to share and buying flowers and candles for the grave is getting more difficult every year.